With the beef industry changing so rapidly, identifying and educating leaders to help guide and strengthen the industry has never been so important. Because NCBA serves the grassroots trade association representing the U.S. beef cattle industry, it is our responsibility to see that leadership development is successful. That is why we continue to offer Young Cattlemen’s Conference (YCC). The YCC tour has proven to be an effective vehicle in identifying and developing potential leaders. Over 950 cattlemen and women have graduated from the YCC program since its inception in 1980. Many of these alumni participate in committees and councils and even more serve on the board of directors. Several presidents and officers of NCBA and predecessor organizations have also participated in YCC. This program has become and will continue to be the cornerstone of leadership training efforts within the cattle industry. Please see the attachment linked below to find out how you can apply today! On behalf of the Bureau of Land Management's acting Idaho State Director Peter Ditton, we are excited to officially announce the selection of John Ruhs as BLM's Idaho State Director..
WASHINGTON - The Federal grazing fee for 2019 will drop to $1.35 per animal unit month (AUM) for public lands administered by the Bureau of Land Management and $1.35 per head month (HM) for lands managed by the USDA Forest Service. This represents a decrease from the 2018 Federal grazing fee of $1.41 per AUM. We live in an interesting era, to say the least. As I look at the history of our nation and our state and then look at the “issues” we face today, I always challenge myself to remember a well-known saying – “We are in pretty good shape, for the shape we’re in!” Continue reading by clicking below. Timber operations and grazing permit administration supplemental guidance during the lapse in appropriation. Eliason Livestock represented by Brayden Eliason was this year's Champion, congratulations on a great year! Northwest Hereford Breeders represented by Cameron Mulrony tied for Reserve Champion with Gill Family Ranches represented by Marty Gill. Awards were presented by Tucker Shaw, our current ICA President. Our Champion and Reserve Champions took home these beautiful buckles. The top 8 contestants also recieve a cash payout. It was overall an exciting year and close contest! Our monthly winners all took home a gift certificate for Cody's Custom Cowboy Hats. The certificate winners will get to customize their hat at this year's Annual Convention. 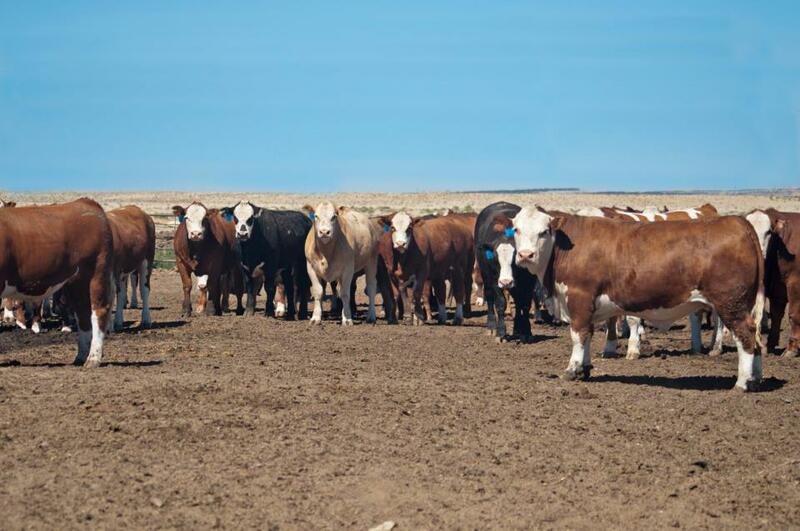 June's winner was Eliason Livestock, July's was Shaw Cattle Company, August's was the Mulkey Ranch, and September's was Eliason Livestock for the second time. Congratulations on your new custom hats and big wins! At the completion of 2017, we had several individuals and companies who had donated a steer to the competition from the very beginning, making the completion of the 2017 Grass Futurity year their fifth year. In appreciation, we awarded five year awards to Bill & Ryan Lickley, Brent Eaton, L.G. Davison, Treasure Valley Livestock, Jared Brackett, Carl Lufkin, Tony Bott, and Randy Landcaster. They took home some awesome Cordova coolers, which are manufactured right here in Idaho! As a special thanks, all contestants and sponsors were awarded garment bags as a token of our appreciation for all they have done! A special thanks to Zoetis, Allflex, Bayer, Merck, Boehringer Ingelheim, University of Idaho, and KeyAg.